DELAWARE: Became the first state outside Nevada to offer betting on individual games when sports books opened Tuesday at the state's casinos. NEW JERSEY: Legislation authorizing sports books at casinos and horse racing tracks could be approved as soon as this week. MISSISSIPPI: Regulations allowing sports books at the state's 28 licensed casinos could be approved as early as June 21, which means casinos could start taking bets 30 days later. WEST VIRGINIA: The state lottery commission is working on regulations, which would be subject to a 30-day public comment period once promulgated. Officials have said sports books could be open by the start of football season. PENNSYLVANIA: Gaming officials have notified casinos that they could begin applying for licenses to open sports books, although it could be months before regulations are in place that would allow them to open. So far, no casinos have applied. CONNECTICUT: Democratic Gov. 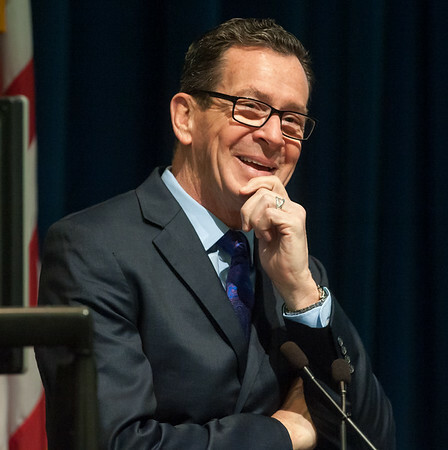 Dannel P. Malloy is negotiating a new compact with the state's recognized Indian tribes to allow them to offer sports books at their casinos. After that's done, Malloy has called for a special session of the legislature to legalize the practice. NEW YORK: Lawmakers continue to debate the prospect of legal sports gambling amid heavy lobbying from the New York-based professional sports leagues, but Democratic Gov. Andrew Cuomo has said the issue is too complicated to resolve before the Legislature adjourns later this month. Major League Baseball has sent two former Yankees managers, Joe Girardi and Joe Torre, to Albany in the past week to push for the leagues to receive a fee to monitor suspicious betting and protect their intellectual property. OTHER STATES: States that have considered legalizing sports books include California, Kentucky, Illinois, Indiana, Iowa, Kansas, Louisiana, Maryland, Massachusetts, Michigan, Missouri, Oklahoma, Rhode Island and South Carolina. Posted in Newington Town Crier, Business, General Sports, Newington News, State on Tuesday, 5 June 2018 14:20. Updated: Tuesday, 5 June 2018 15:18.